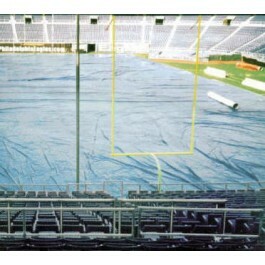 Keep your field game-ready with FieldSaver rain covers from CoverSports! FieldSaver covers and tarps provide the best in waterproof synthetic turf protection for full football and soccer fields and baseball infields. Ensure a quality playing field! Keep your field game-ready with FieldSaver rain covers from CoverSports. FieldSaver covers and tarps provide the best in waterproof synthetic turf protection for full football fields, soccer fields and baseball infields. 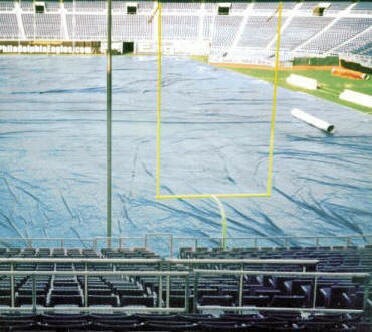 Our popular FieldSaver rain stadium covers are avaiable in sizes over 5,000 square feet, and are also available in 18oz Vinyl (VCP1800) - Please Contact Us Today for more information or for a free quote.